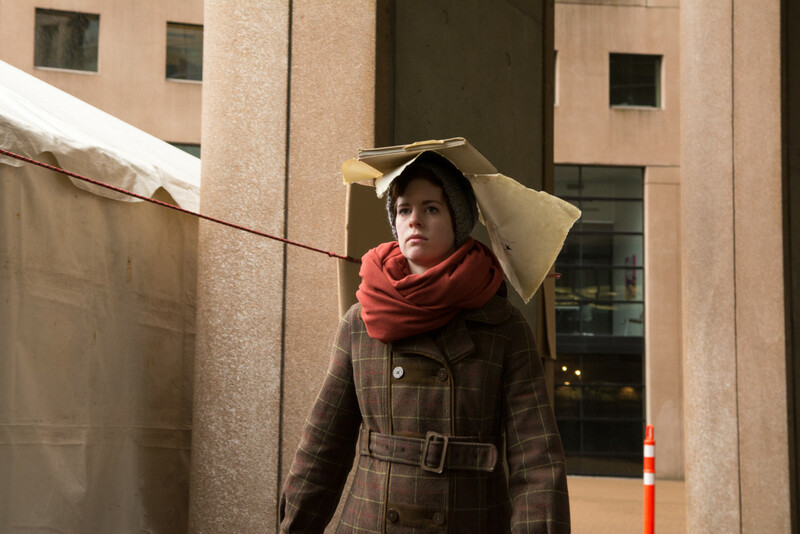 I was asked to photodocument performance artist Lauren Marsden's latest piece In Pursuit of Perpetual Motion. 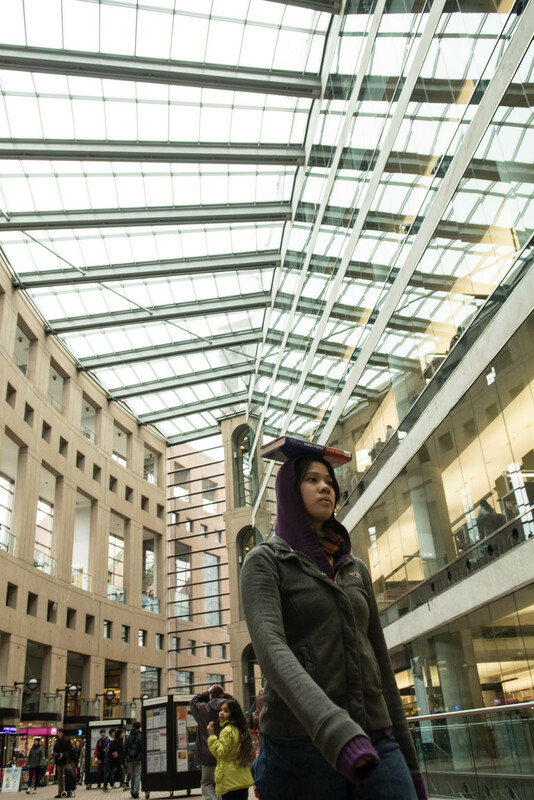 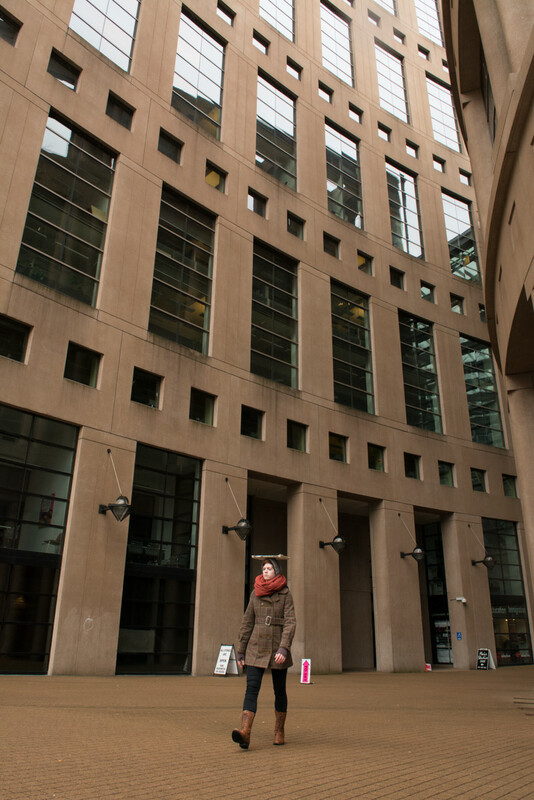 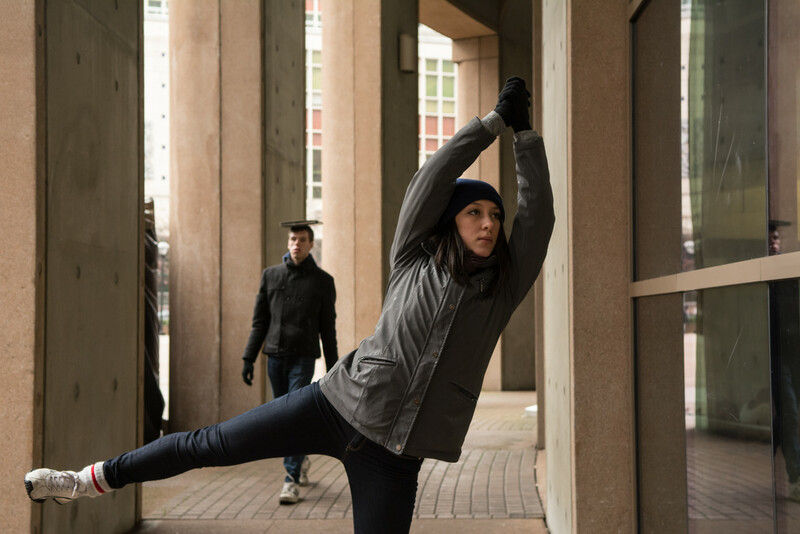 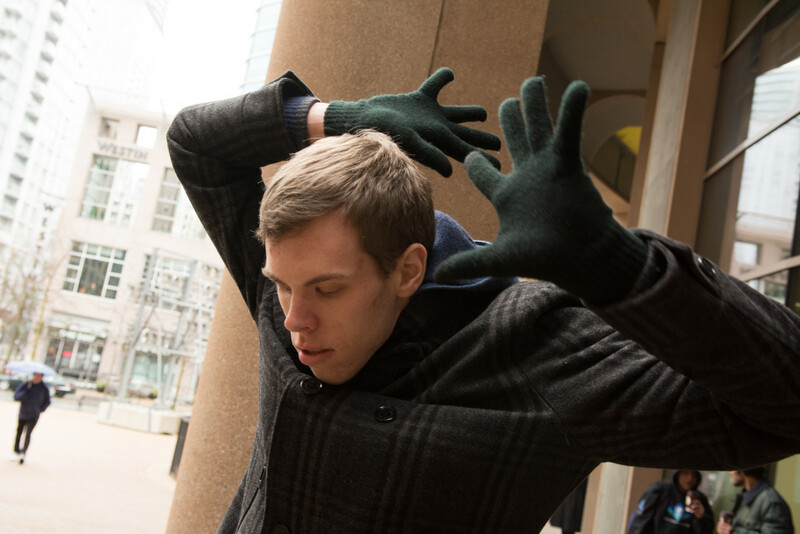 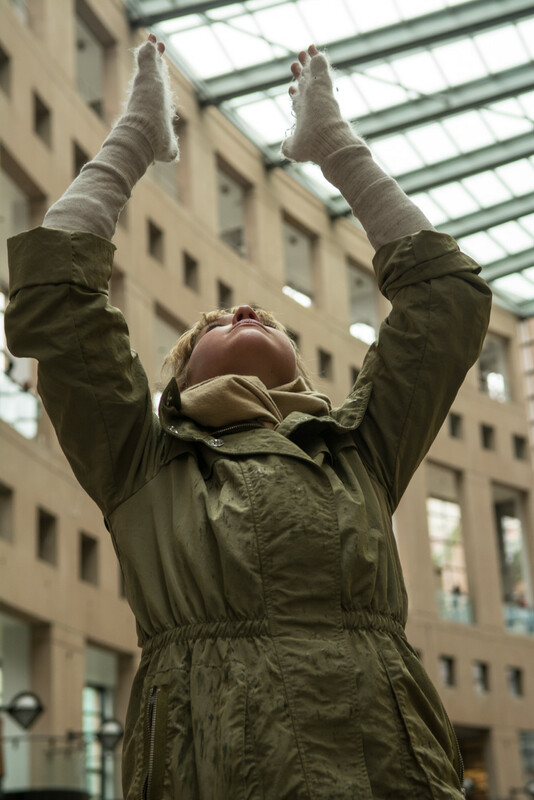 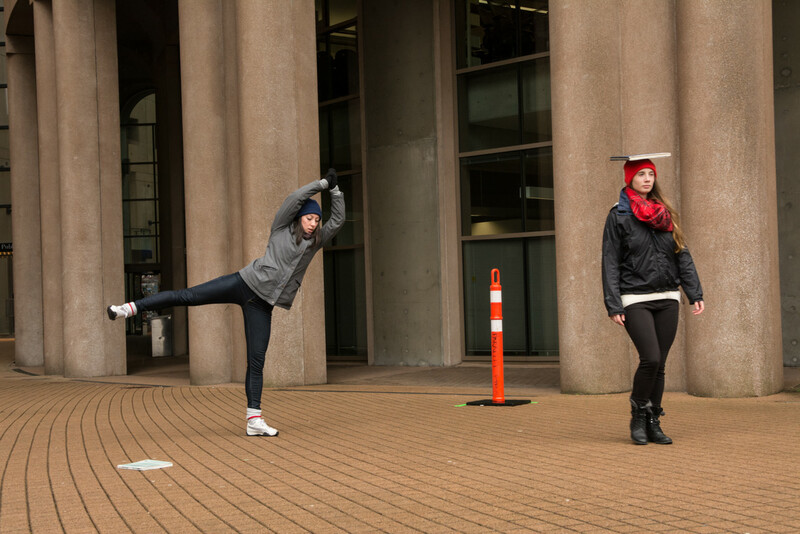 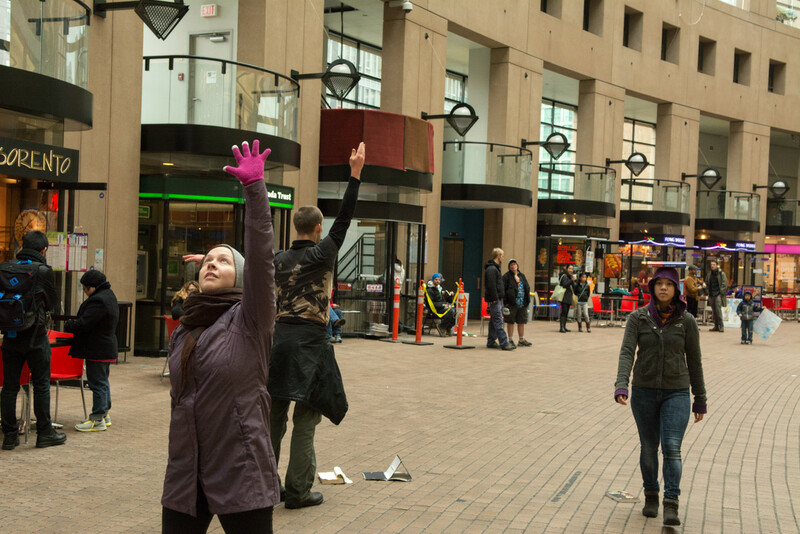 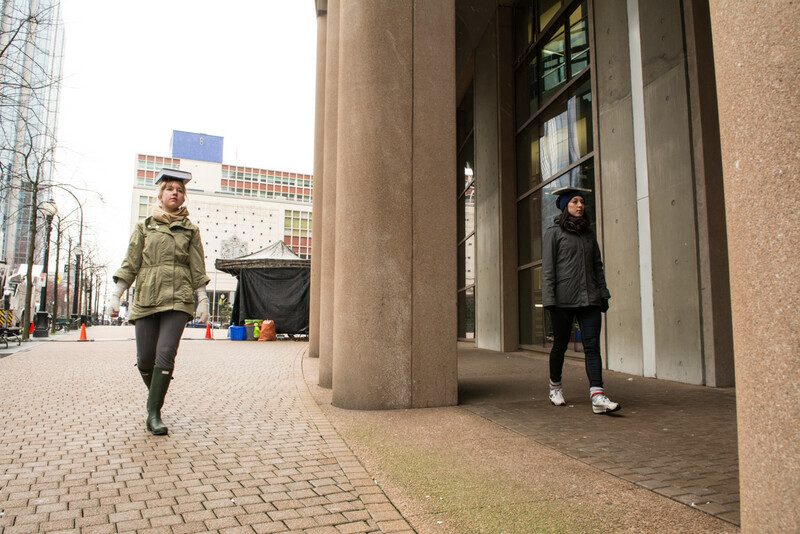 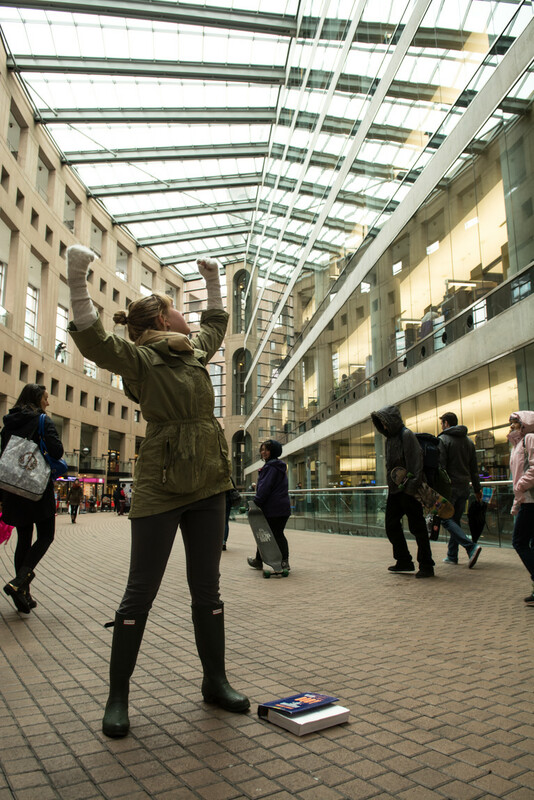 On a rainy Saturday afternoon, ten dancers walked a counterclockwise route through the atrium of Vancouver's Central Library, outside, around, and back in again. 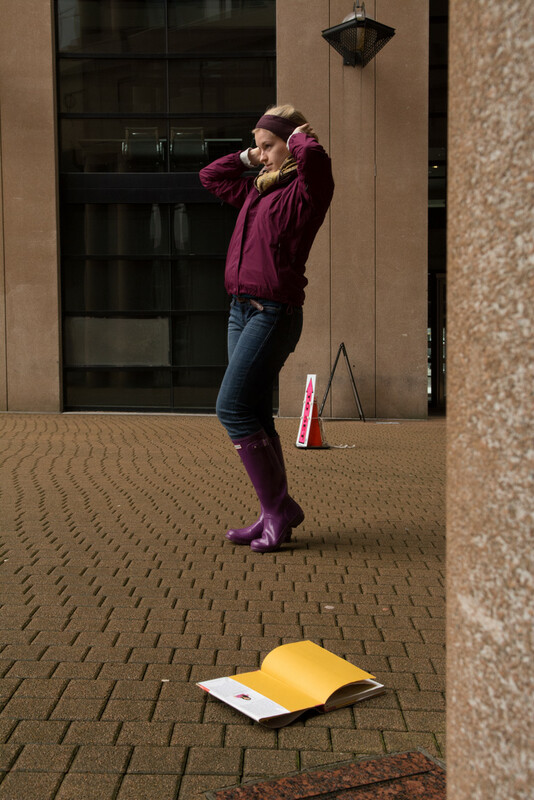 On repeat. 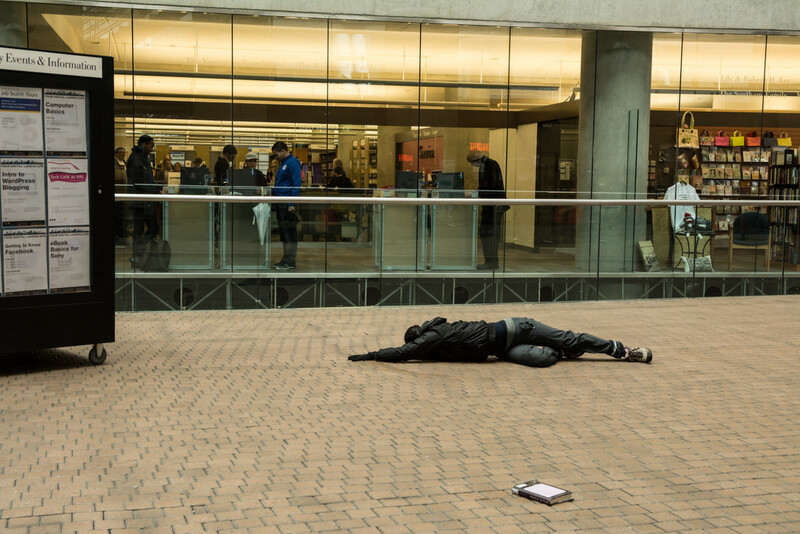 For 2 hours. 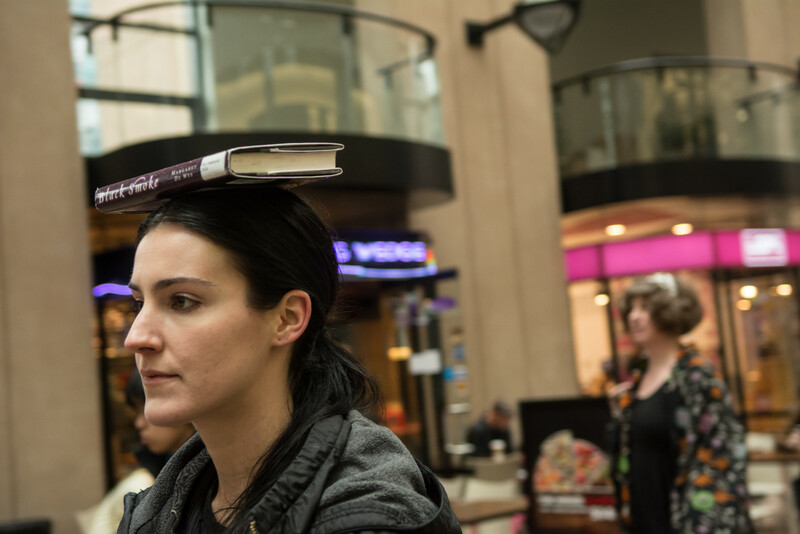 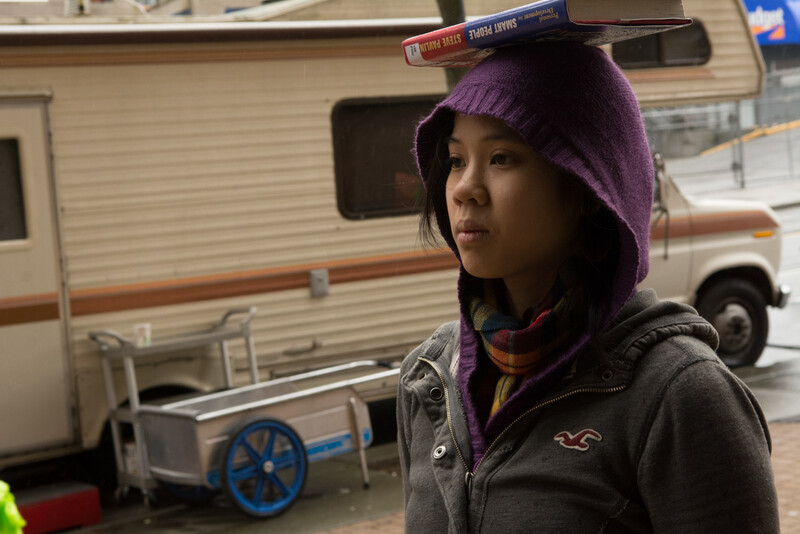 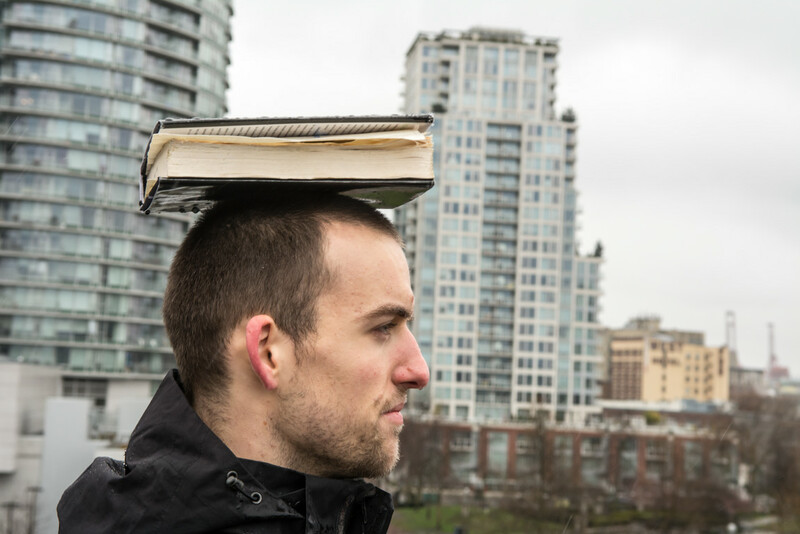 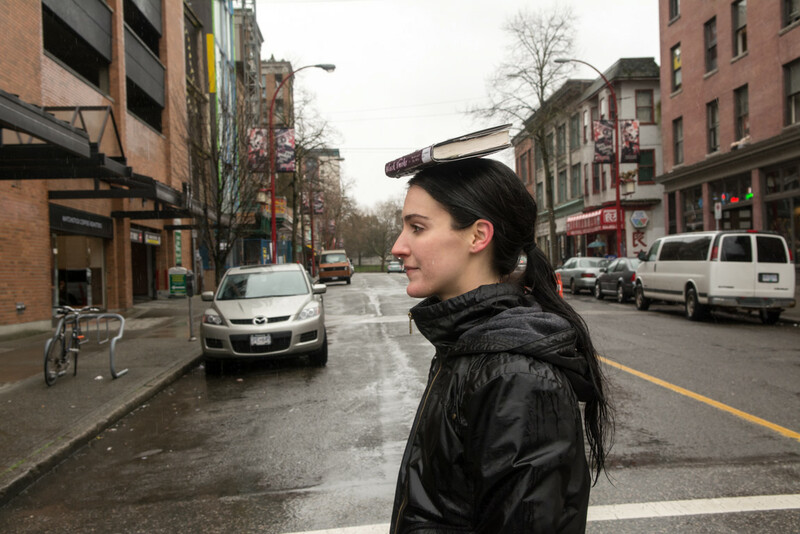 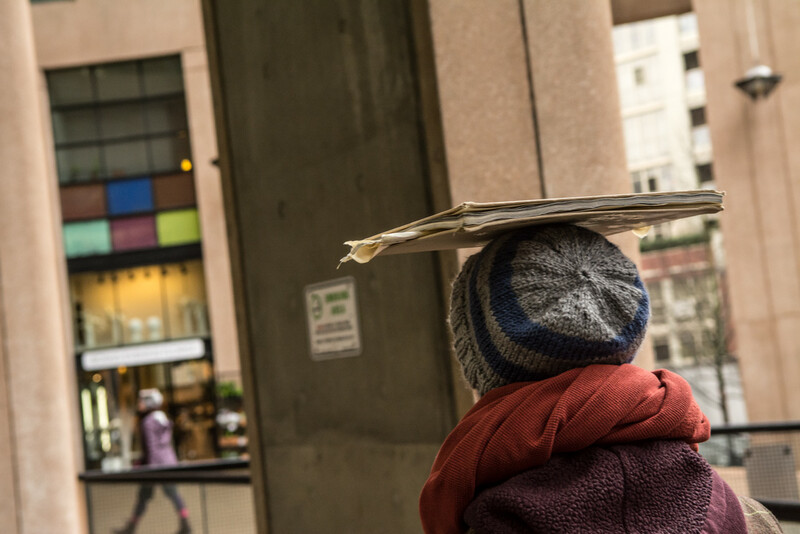 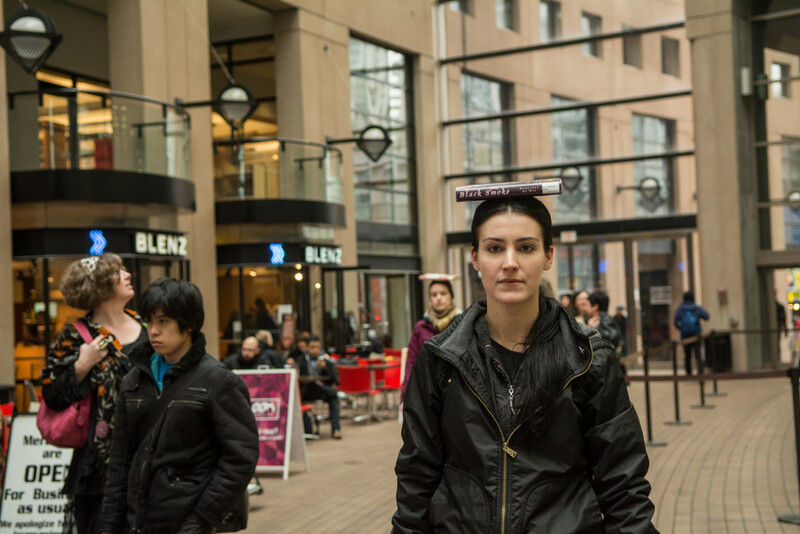 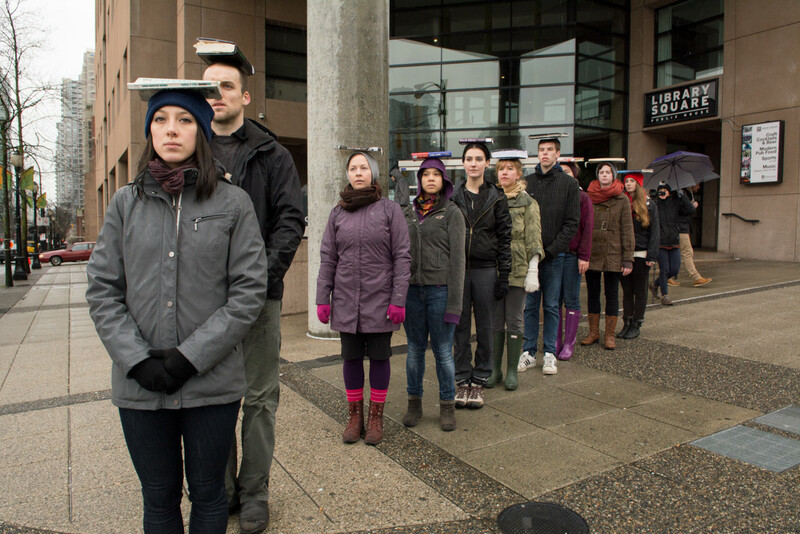 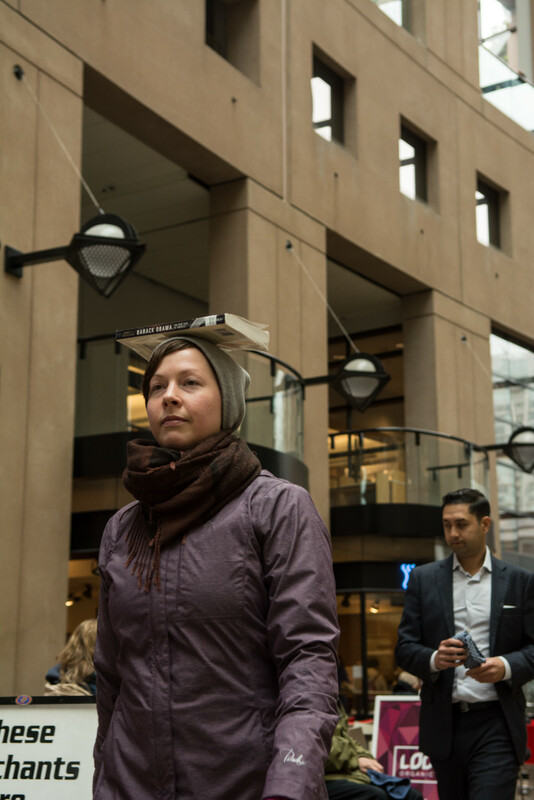 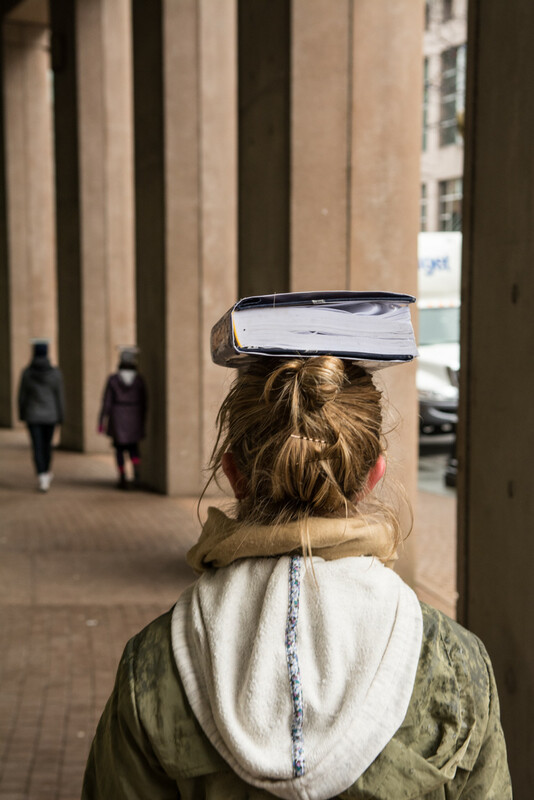 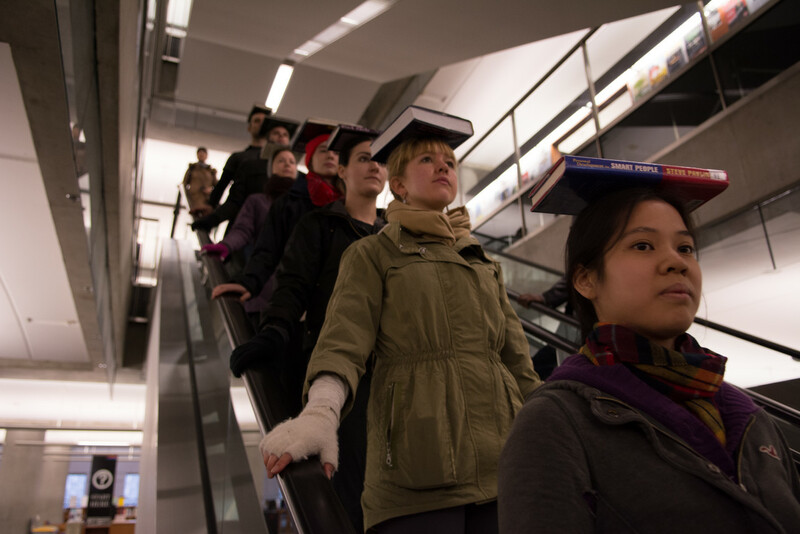 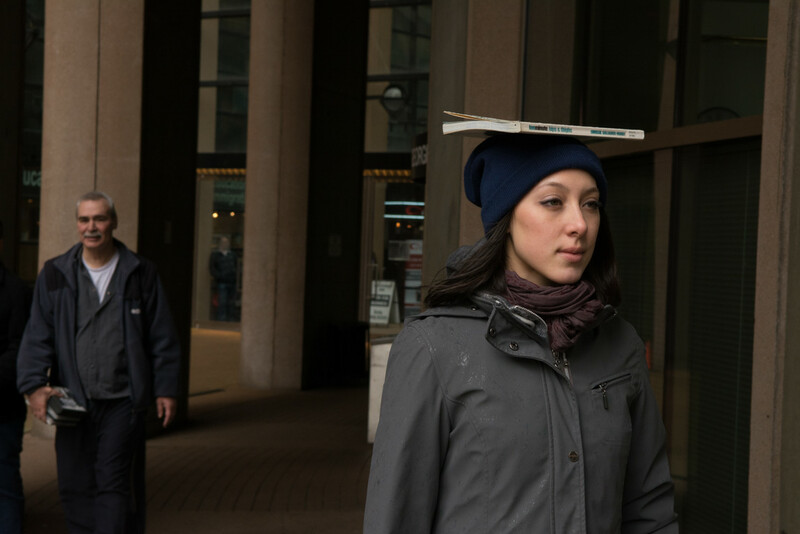 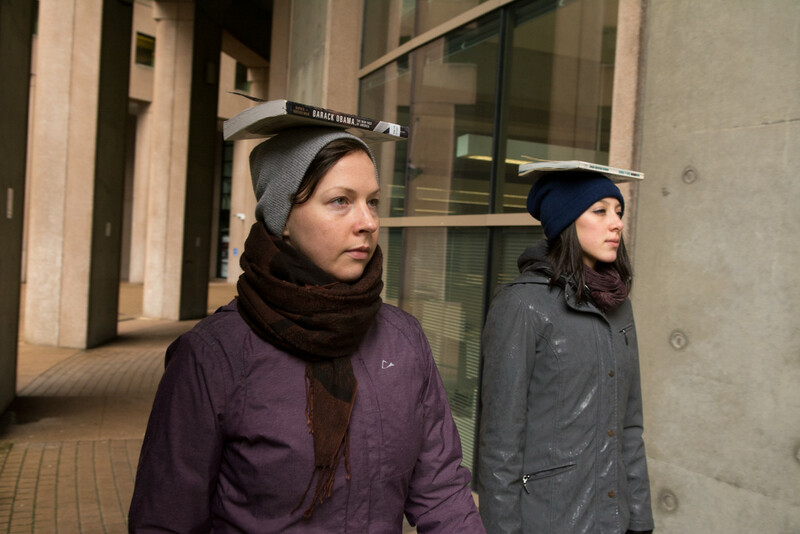 Balancing discarded library books on their heads. 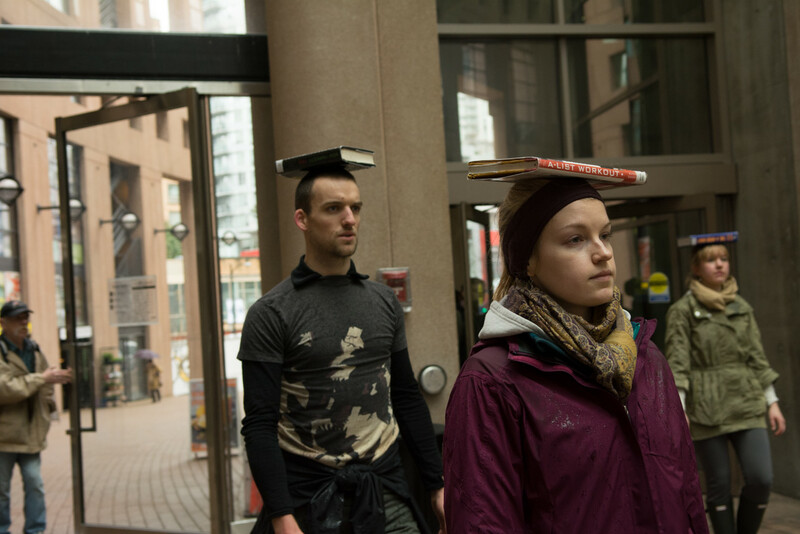 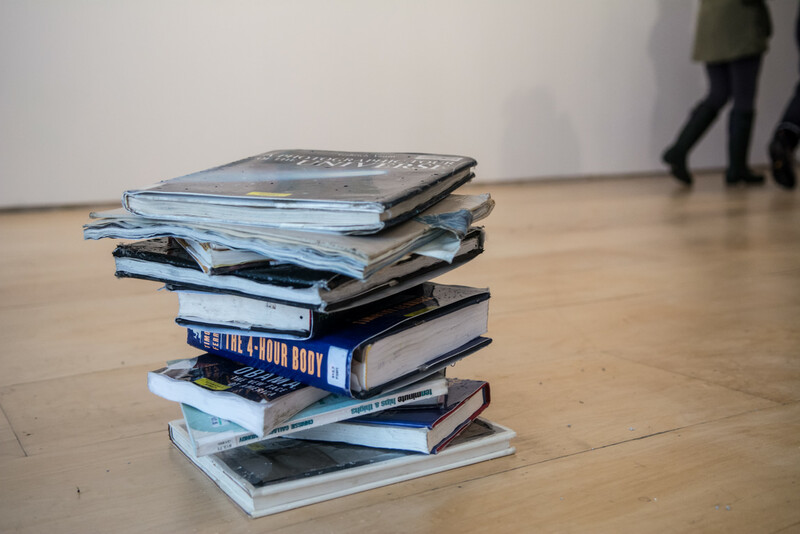 Each dancer choreographed their own piece to perform whenever their book would inevitably fall from their heads (it was surprising, though, how rarely this actually happened. 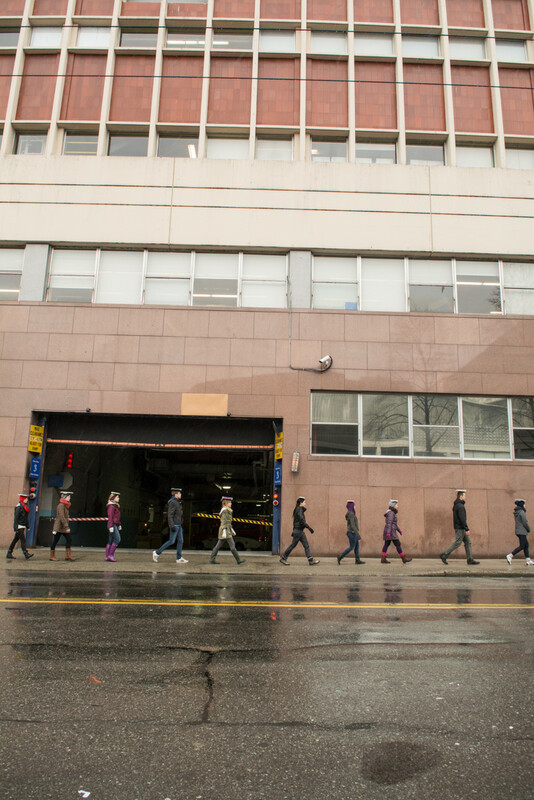 And at the pace they were walking!). 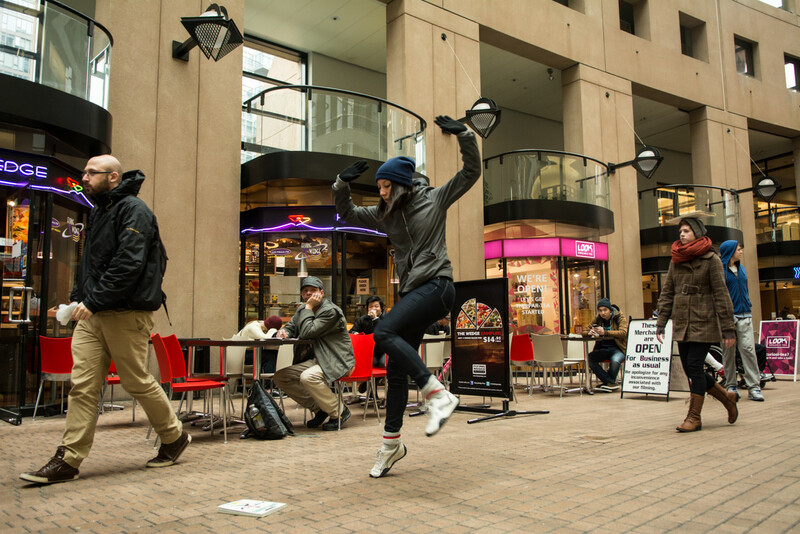 Their dancing was directly into relation to their unique books: a dancer whose book was "Hips and Thighs" did a series of explosive aerobics. 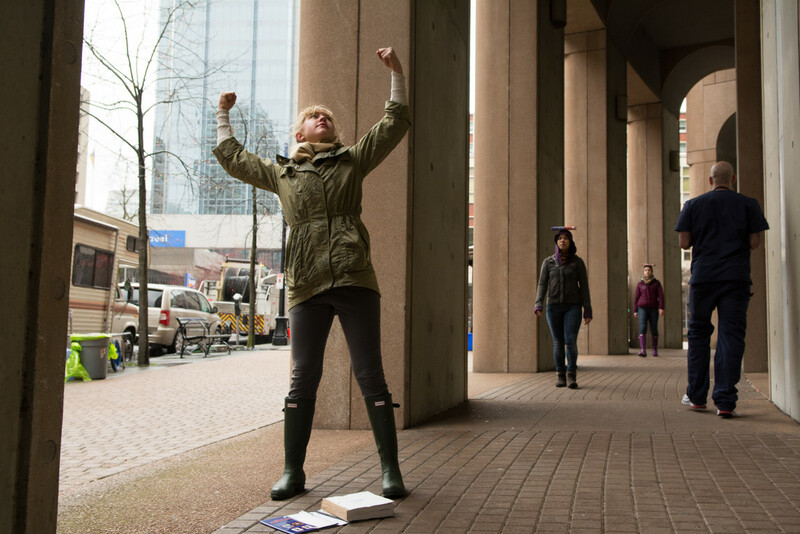 Another whose book was "Barack Obama" did a circle of congratulatory handshakes, capped off with a big kick in the air. 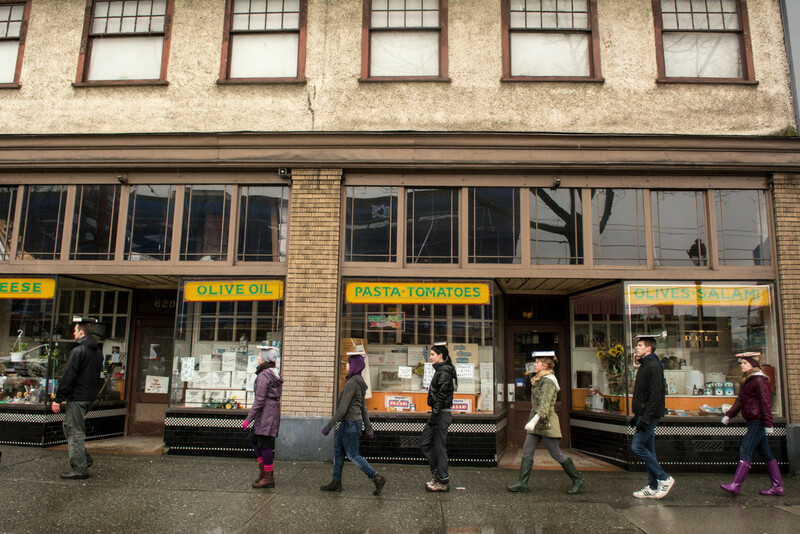 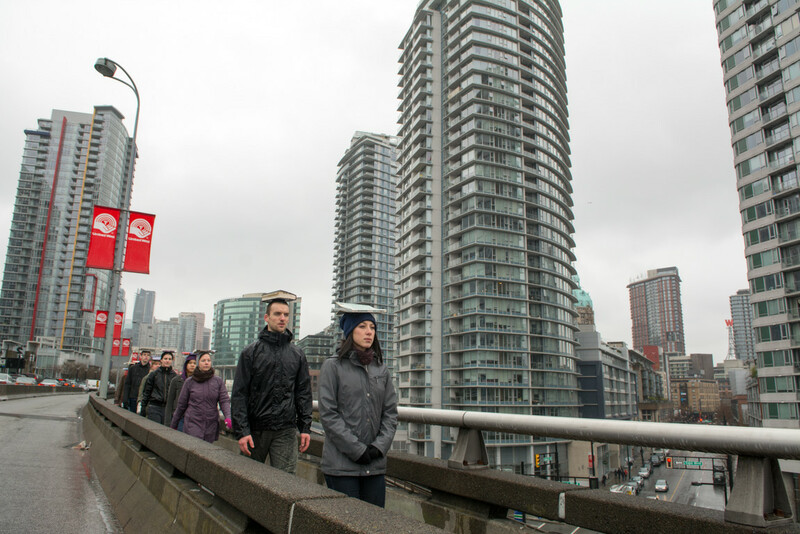 After the 2nd hour, the troupe walked across the viaduct to Chinatown, ending their epic performance at UNIT/PITT gallery. 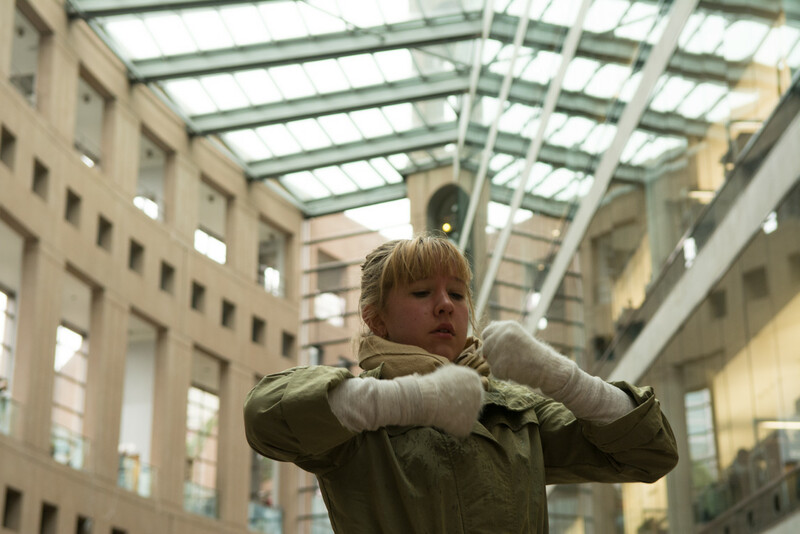 For full information, see UNIT/PITT Projects page http://www.helenpittgallery.org/exhibitions/current-and-upcoming/collective-walksspaces-of-contestation/lauren-marsden-in-pursuit-of-perpetual-motion/ One of the dancers, Charlotte Priest, says "Thank you so much to amazing photographer Ash Tanasiychuk who recorded these precious moments of spontaneity!"